Valentine's Day is the chance for you to express your feelings to your crush. How to impress them when you’re trying to hold your breath? Take it easy! Prepare a recording of your message and share it. 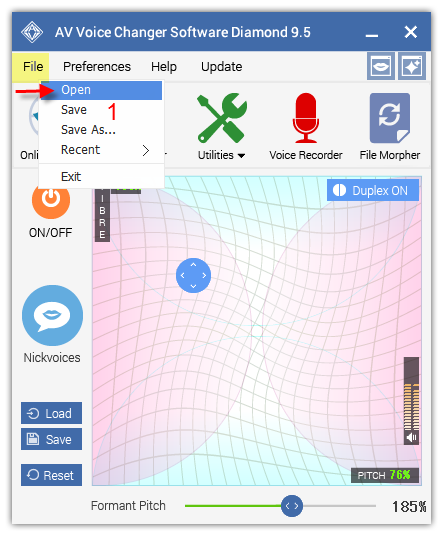 This tutorial will instruct you on how to record your voice and make it to be a special Valentine’s message for sharing with you lover by using Voice Changer Software Diamond 9.5 (VCSD 9.5) and Audio Editor. Click here to learn how to record your voice. 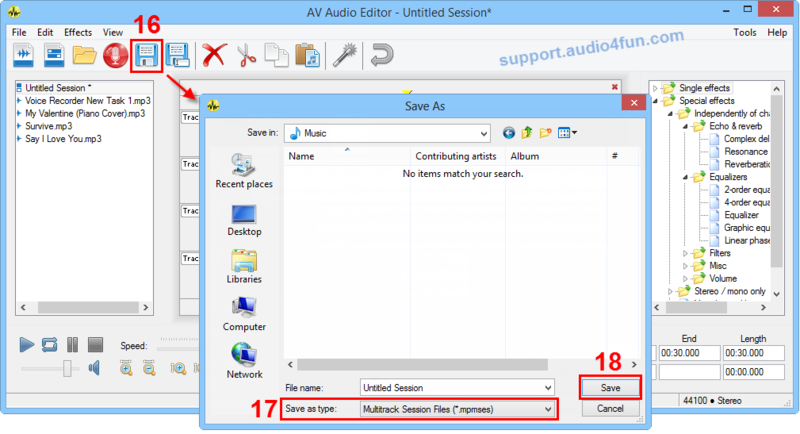 - In the main panel, click File menu >> Open (1) to open the newly recorded files. 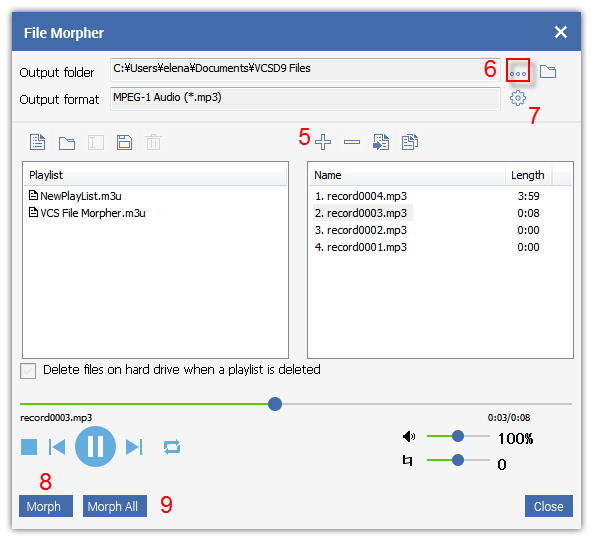 - When File Morpher (Quick Mode) appears, click on Play button (2) to listen to the files. While listening, move the Timbre – Pitch cursor (3) until you get satisfying morphing result. Remember to combine with other Voice Effects and Advanced Settings for more vivid output quality. Click here for complete instruction on Voice Morpher. - Choose Full mode (4) for further settings in File Morpher. Click Add track(s) to the list button (5) if you want to add more files to the queue. Click on Browse button (6) to choose the destination for the morphed files. Click on Setting button (7) and choose your favorite file format. 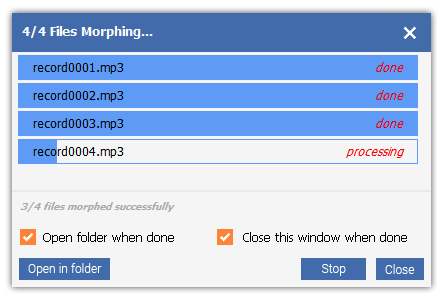 Then click Morph button (8) if you want to morph the selected file in list; or Morph All (9) to morph the whole list. Wait for the morphing process to be done. Note: As soon as you click on the New Multiple Track session button, New Multitrack Session... dialog will appear and ask you to select the sample rate for your project. Just leave it as default 44100 (11) and Stereo in Channel panel (12) if you are not sure what setting to choose >> Click OK button (13). 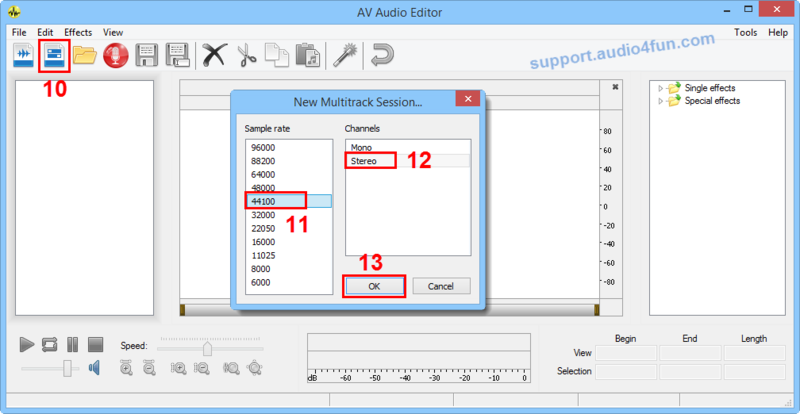 - On each track line, right – click >> Insert (14) or double click to insert an audio file. Note: To edit a single track, double click that track. - Then click Save button (16) to save your work >> Choose output location >> Choose output format type at Save as type combo box (17) and click on Save button (18). 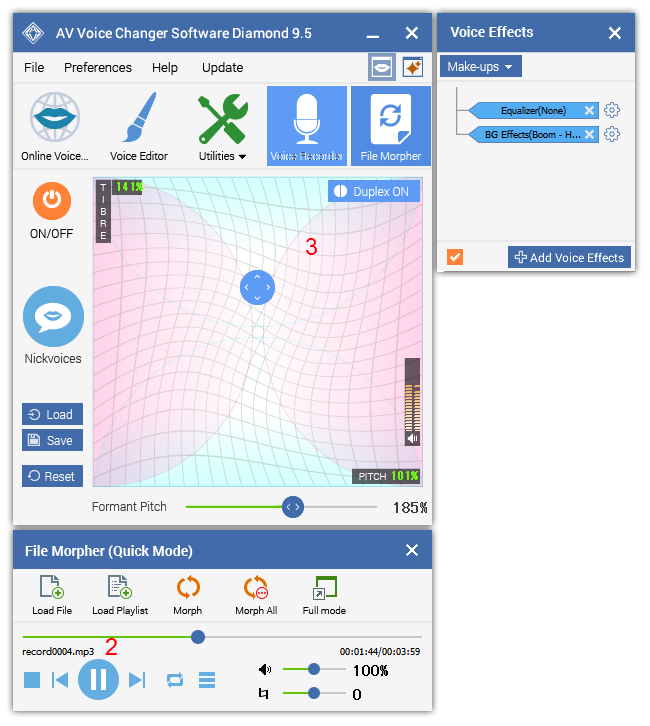 Note: If you save your project as *mpmes format, you can re-open and continue to modify it by Audio Editor in the next time.